I haven’t done one of these since the end of December. Mainly because I was away for almost two weeks at the end of January. But also because I knew some of the things out there would definitely make it into my list. So writing it early would not be representative of my faves from the month haha. It then got later and later, and I thought I might as well tie the two months together and give you a big old run down. And here we are. Sorry, a little life story covering the last couple of months. I have had an awesome start to the year on the foodie side of things. 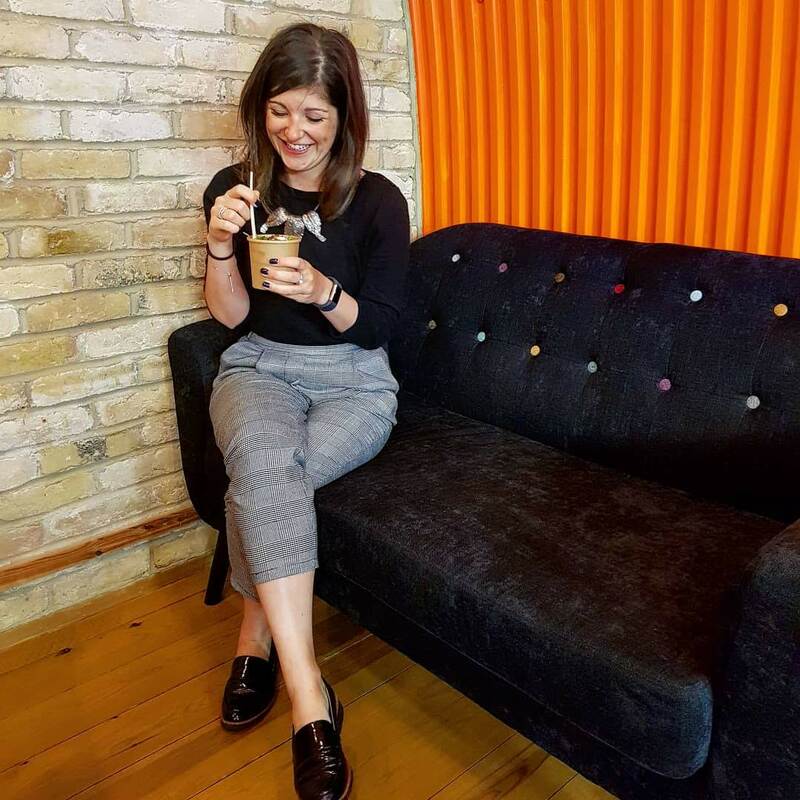 I’ve had the opportunity to try some fab new launches, but also have stumbled across a few ‘new to me’ bits which deserve a mention. Because food is life, and life is quite often organised around the food. Well definitely for me. So here goes, my faves from January and February.. I think this one goes without saying. It’s probably going to be in my fave foods of the year. 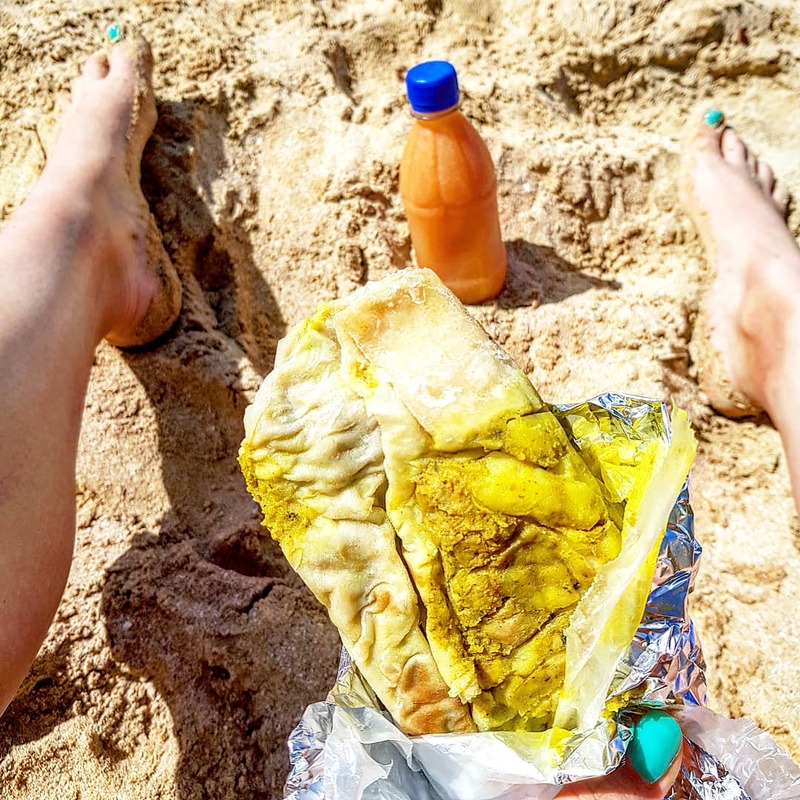 I raved about them in my post covering THE food to try in St. Lucia, and for good reason. These ultra thin flatbreads with spiced meat or vegetables are packed with aromatic flavour. Chicken, veggie or fish, they’re all amazing. I would do almost anything to have another this week – alas, I don’t think there’s anywhere here which does a good enough version. 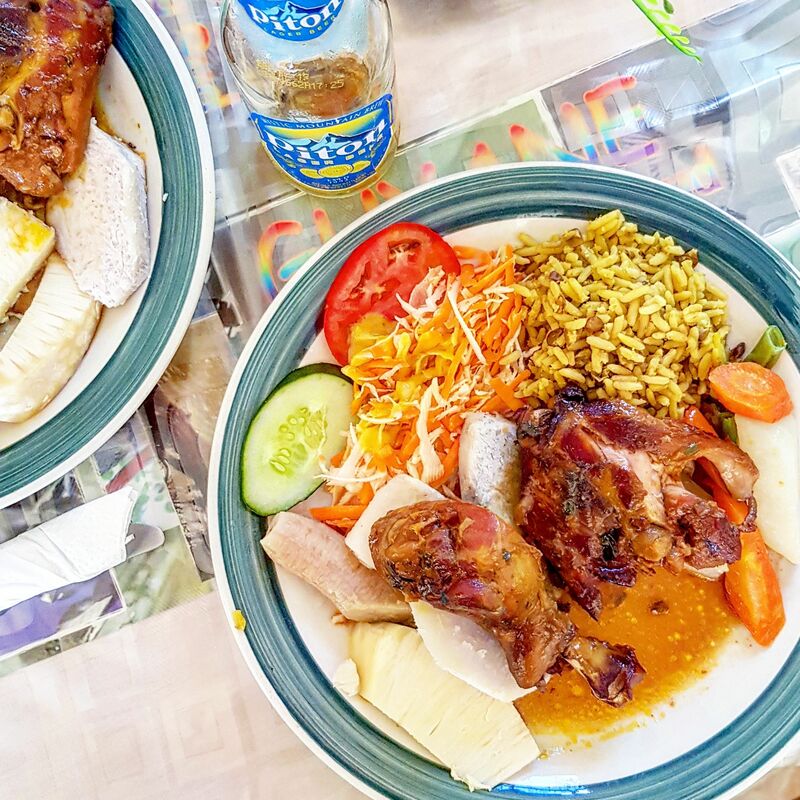 In the same vein, Creole Chicken is another St Lucian fave I cannot get out of my head. A deep flavour. Super tender chicken. 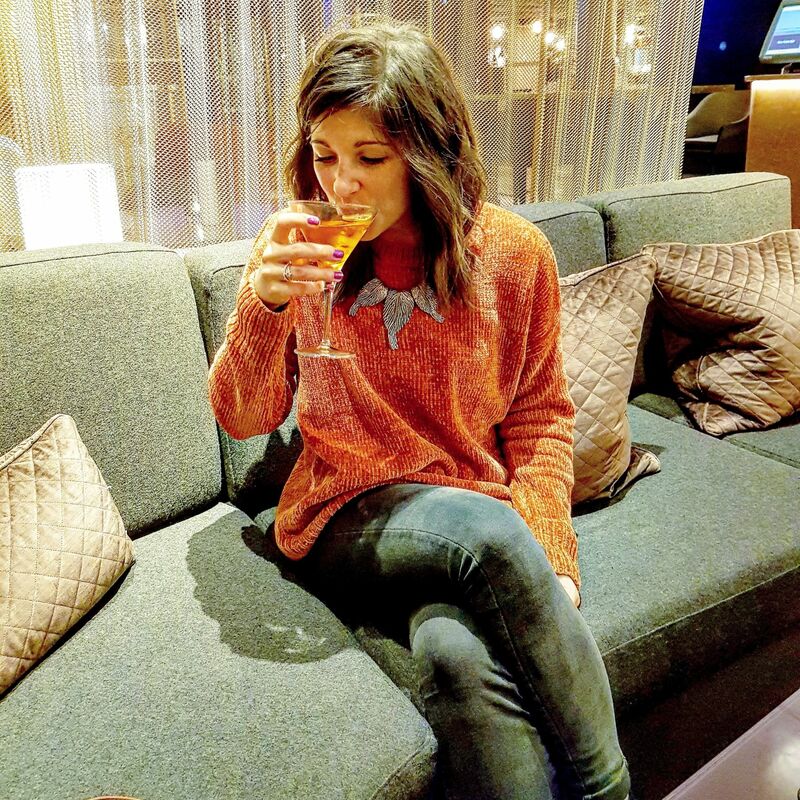 I need to learn how to make this myself…might need lessons from the boyfriend’s family! Watch this space! 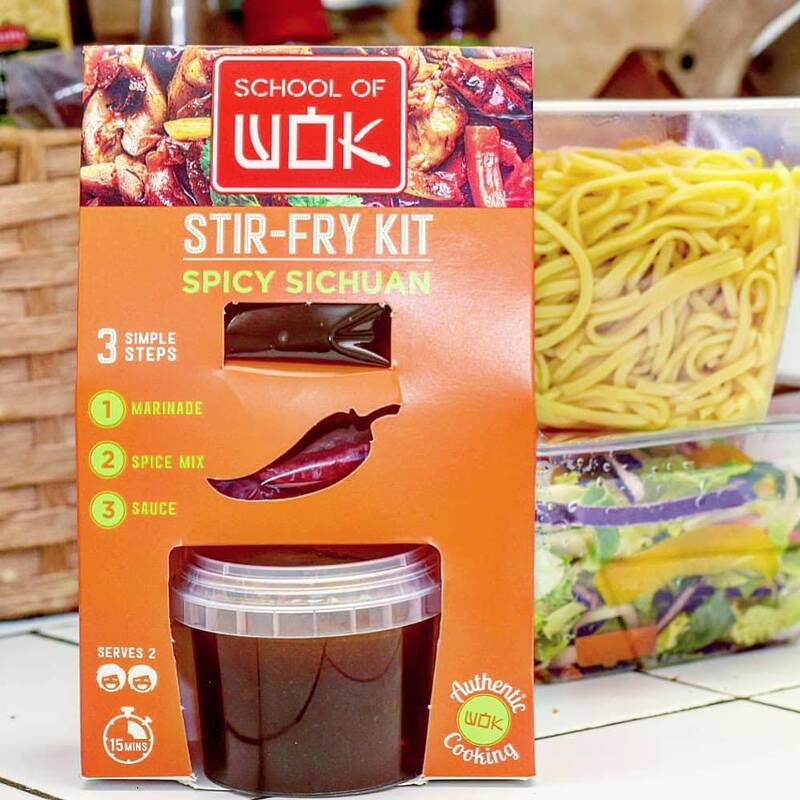 These are new launch for School of Wok which hit stores at the end of last year. 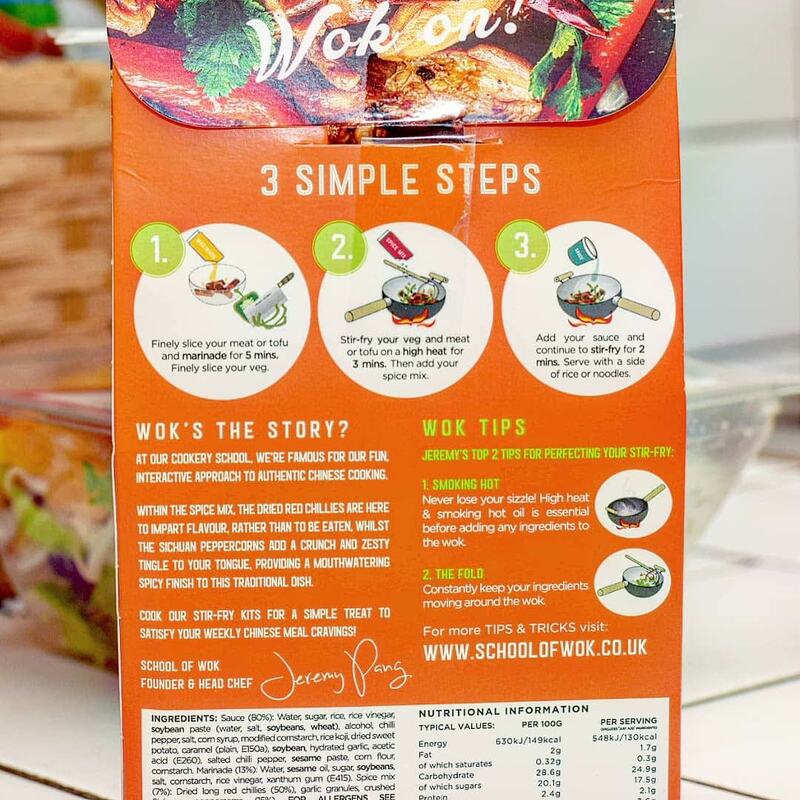 The packs come with marinade, spice mix and sauce, so all you need to do is add meat and/or veg, and noodles. 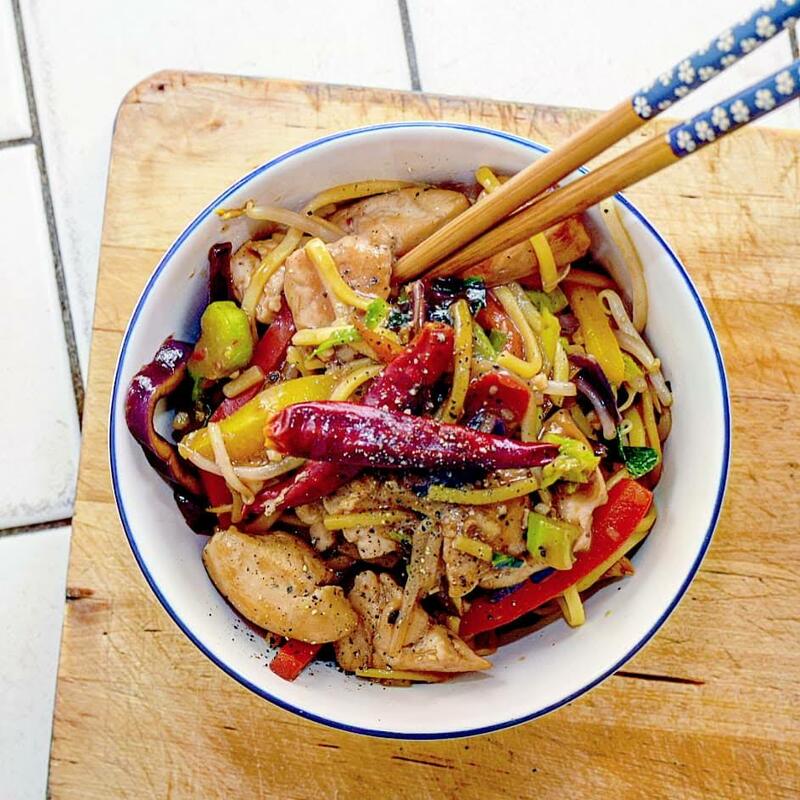 I obviously added both; chicken and a fresh pepper stir fry pack. They’re super simple to use with instructions on the back. 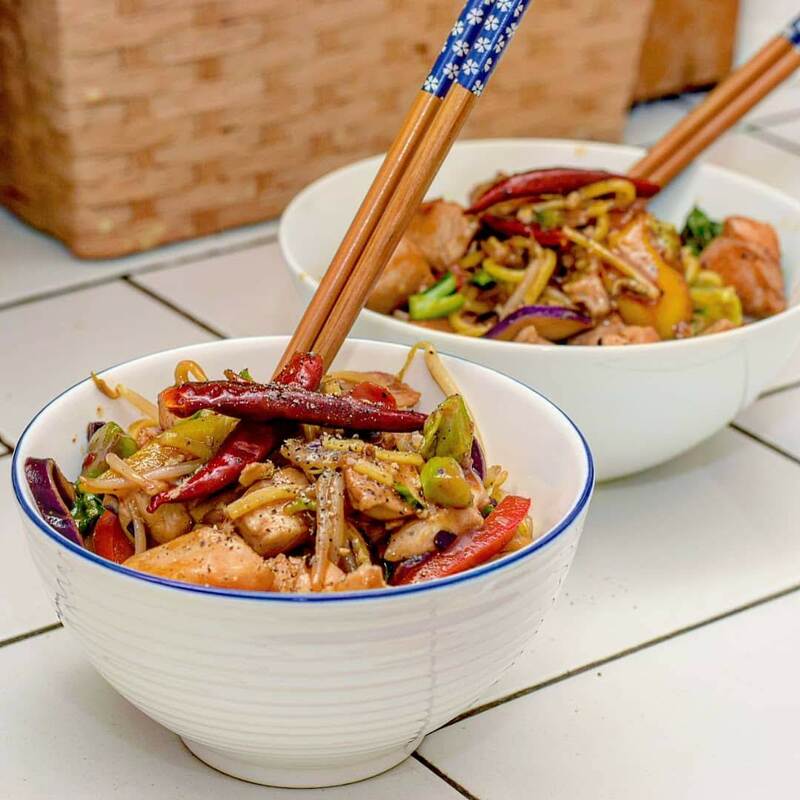 Plus stir fry is a really speedy dinner which is what I often love mid-week when I’m rushing about. The flavours are fab, and there’s plenty of sauce too, which is something I often miss with some of these packs for two. The Spicy Sichuan is my fave, super tasty with a slight kick. 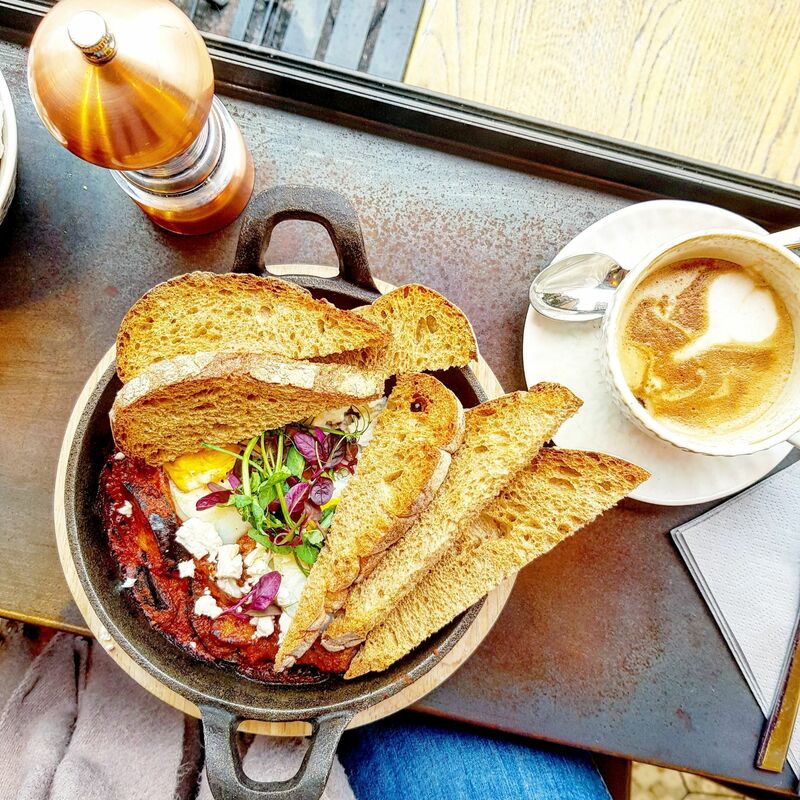 We headed to Lola’s Bakery in West Hampstead to brunch in early Feb when I had one of the girls to visit for the weekend. I didn’t actually realise they did brunch until recently, I thought it was just cakes. The brunch menu is actually HUGE, with so many savoury and sweet options. There a a few shakshukas (my go-to) and I introduced Heather to the dish. She’d never had one before. 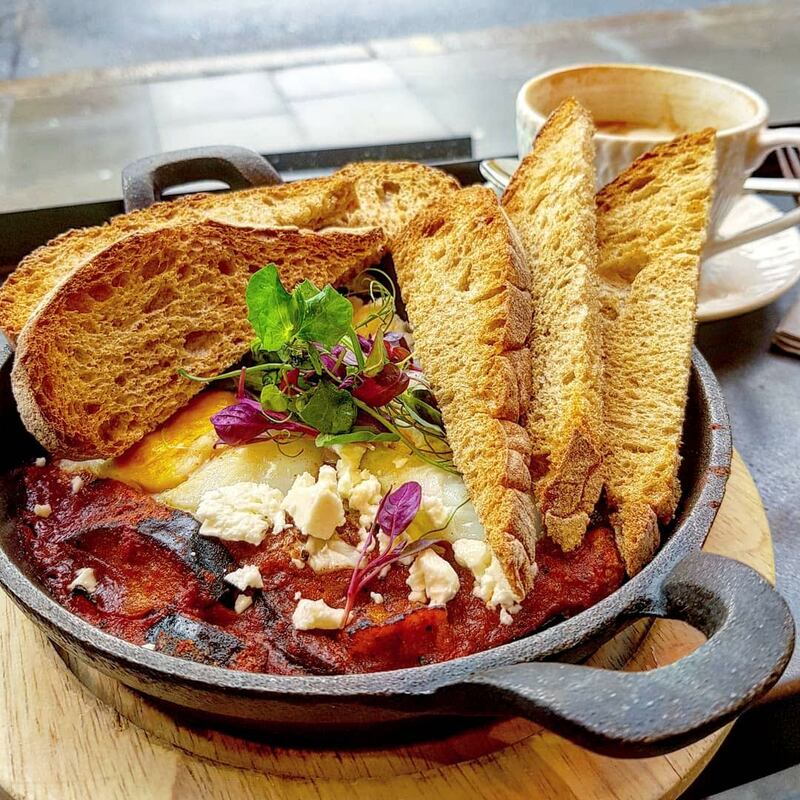 The aubergine shakshuka was rich, tangy and fantastic. The eggs could have been a bit more runny, but the sourdough bread was delicious too, making it a fab brekkie. Heather had the gluten free almond flat bread with hers which was insane – definitely go for that! The other dishes look so good too, I’m definitely heading back for more! Yes, late to the party I know, but I finally tried the legendary vegan sausage roll. And I can tell you, it’s better than the original. It’s super herby and the pastry is deliciously flaky. But it’s not overly greasy, which is one thing I dislike about pastries. 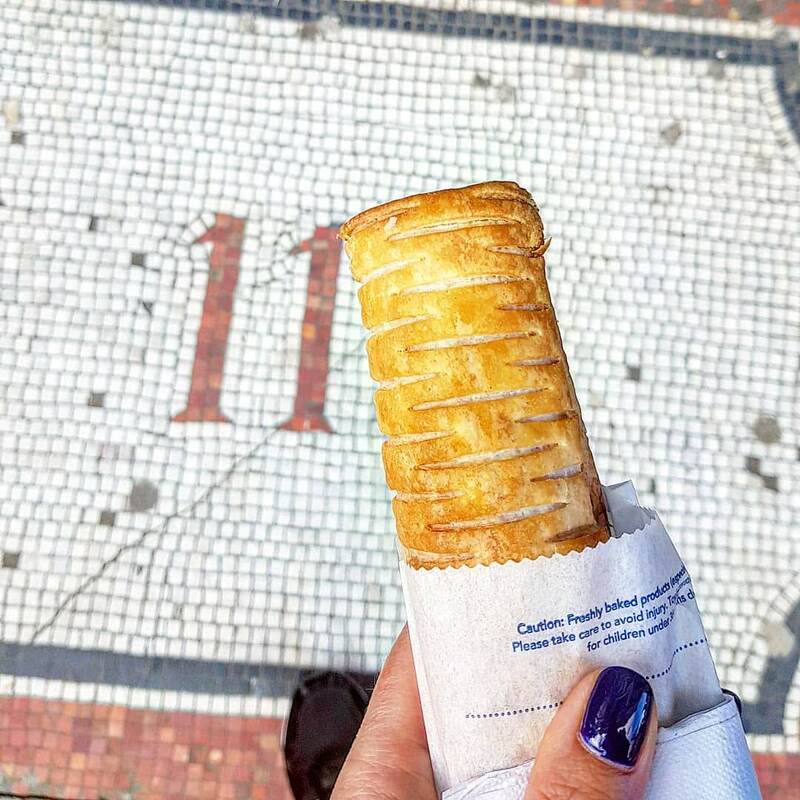 If you haven’t tried one yet, go – they’re only about £1! I haven’t been to Arancini Bros in a long while. In fact, it’s been so long that it wasn’t even fully vegan when I last went. 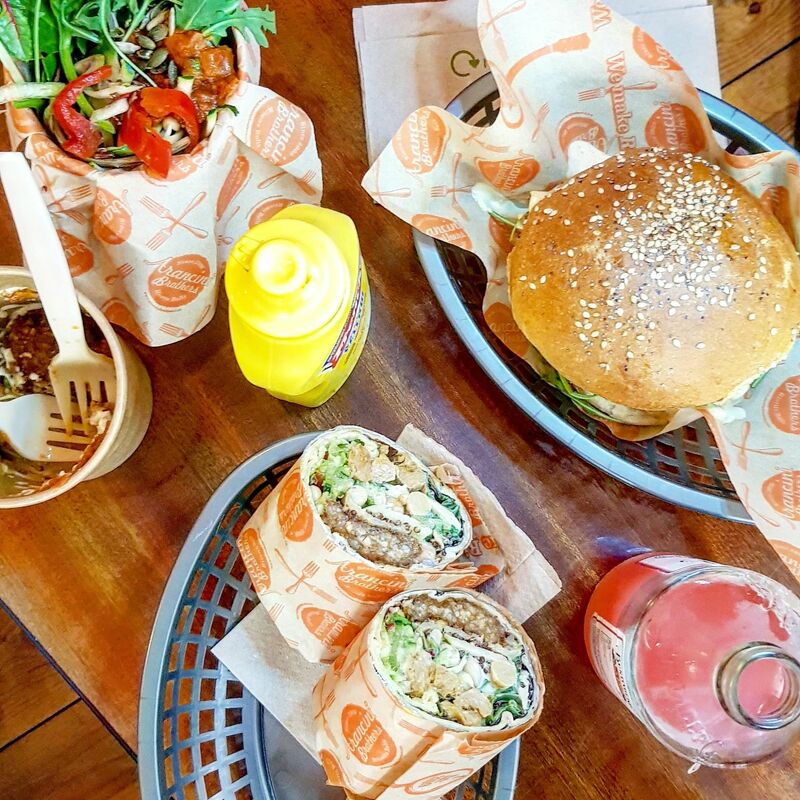 Not only is everything now completely plant-based, the packaging is environmentally friendly too – totally awesome! 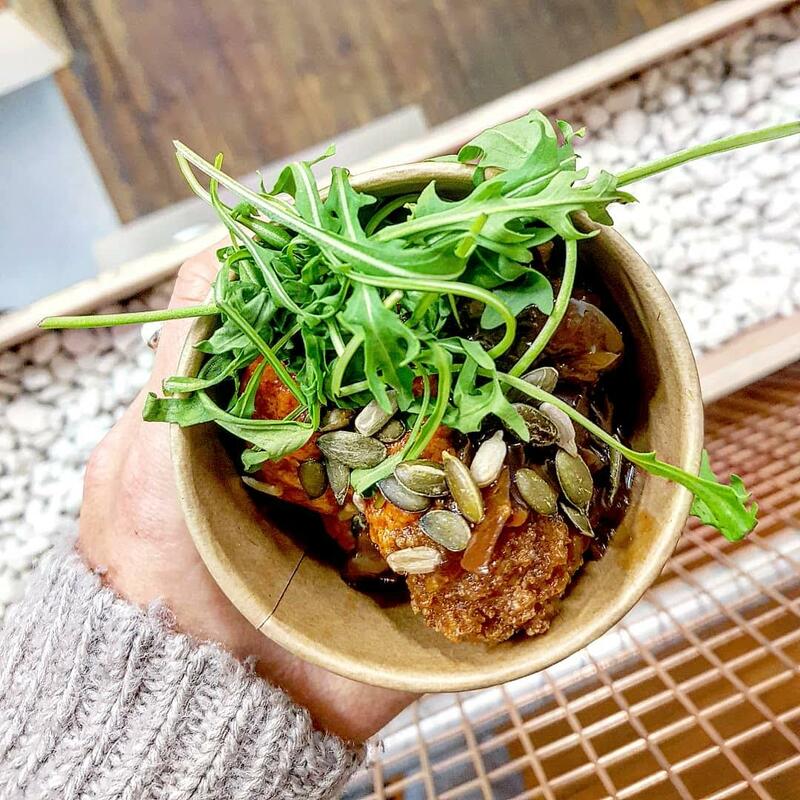 We popped along to the new branch in Maltby Street. I can imagine it being super busy at the weekend, but on a Tuesday evening it was very quiet. They didn’t have any original arancini balls when we visited, but the mushroom-zucchini ones were fab! We loved them with the eggplant relish! 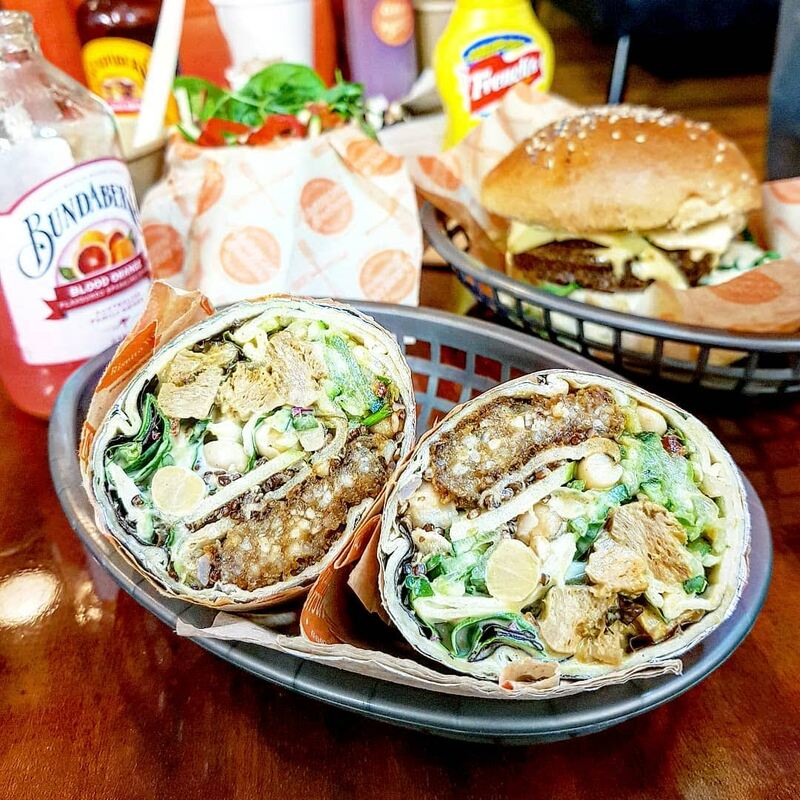 The chick’n wrap, rolled with risotto balls, salad of the day, citrus dressing and mayo was fantastic too – I couldn’t believe how good the soya pieces were. Whilst the vegan chorizo in the risotto burger had a fab texture and superb spicy taste. I may not be a vegan, but I can definitely appreciate a good vegan menu when I see one. This brand aims to be a quirky beer. 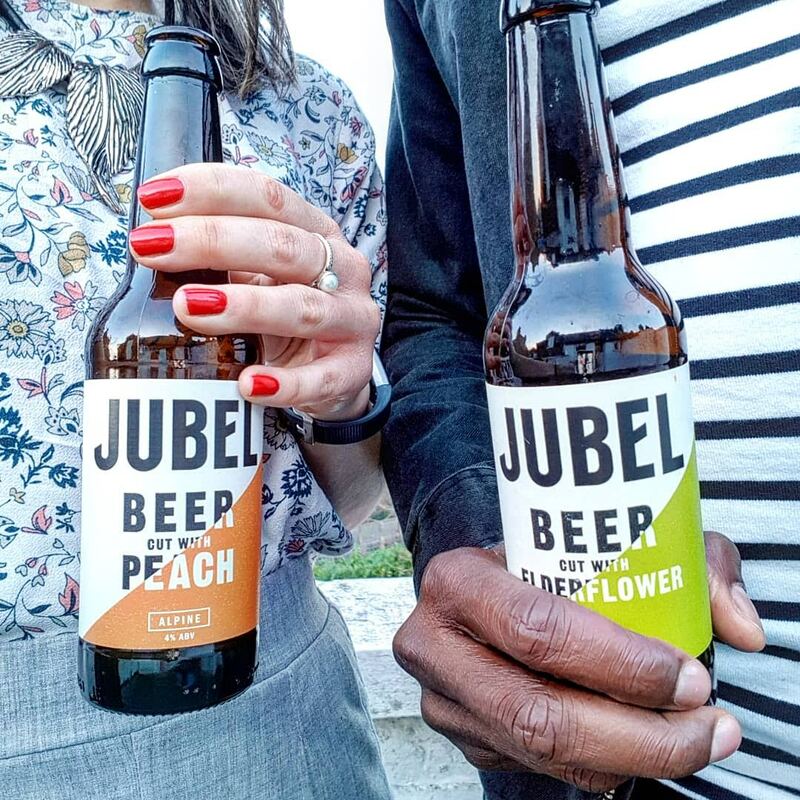 Jubel was started by a couple of guys who were fed up of drinking standard lager, so quit their day jobs to create the lager they wanted to drink. They’ve got super cool branding and the flavours are pretty different, including elderflower and peach. Both of the beers are gluten-free, vegan-friendly and naturally infused. They’re also super delicious. They’re not overly hoppy, and make a fab light beer to have alongside dessert. Or just enjoyed in the sunshine we’ve been having on a Saturday afternoon. TwoRuba is a cocktail bar which can be found on the ground floor of the Hilton, near London Bridge. It’s pretty swanky and does have a ball pit hidden somewhere inside too! Crazy right? I went along with one of the girls and had a lovely couple of cocktails; two from the menu, two created especially for us by Dominique, the mixologist, just based on our previous choices. The Banana Martini (banana liquor, Monkey 47 gin and Aperol garnished with dried banana) and the Blue Ruba (Botanist gin, lime, sugar, thyme, vanilla with BlackBerry foam), both signature cocktails were fantastic. The banana martini strong and smooth. I do love a banana flavour. 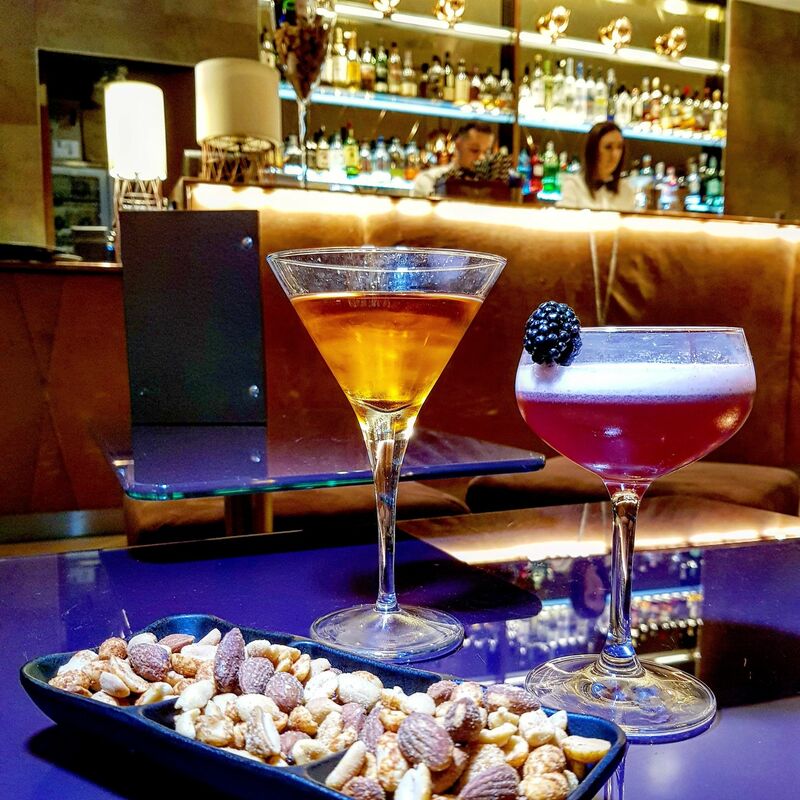 The two cocktails which followed, our personal recipes, were just as fab! We had a lovely evening and I’ll definitely be going back if in the area one evening! Ok, I know this is a strange one to put on this round-up. Mainly because it’s a pre-packaged and pre-pared dish. It’s not something I tend to opt for a lot of the time. However, Chris grabbed this for the night before our flight out to St Lucia as a quick and easy meal. And I can’t stop thinking about it. It was only about £5, served two, and there was plenty! The sauce was rich, thick and creamy. We had it with a delicious mash (Chris makes a fantastic one), and greens and it hugely satisfied. I know it’s lazy, but I’m definitely getting this again, and I’m not going to be ashamed. Sometimes we need easy, go-to dinners when we stuck for time. It’s better and cheaper than takeaway! Chris truly outdid himself this Valentine’s Day. Ok, so I haven’t really celebrated properly before. So when Chris said let’s do something, I couldn’t resist. Not that we needed an excuse for a nice, romantic night in. Anyway, Chris said he’d cook, and when I got there he was over half way through preparing this amazing seabass dish – something I never cook myself at home. The fish was on a bed of new potatoes, chorizo, tomatoes and butter beans, and it was all cooked in white wine sauce. Honestly, so so good. 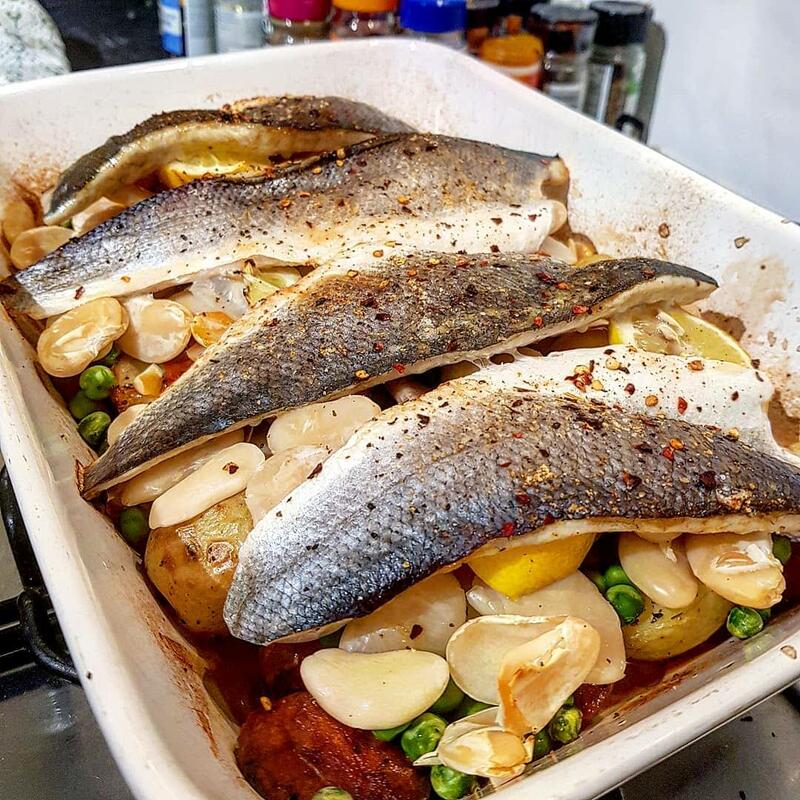 I now want to cook more seabass dishes – send me all of your fave recipes! And there you have it. My faves from the past two months. What new things have you tried recently? *This post does include food/drink from reviews I’ve been invited to, or samples I’ve received. All views my own. I still need to try one of the vegan sausage rolls! 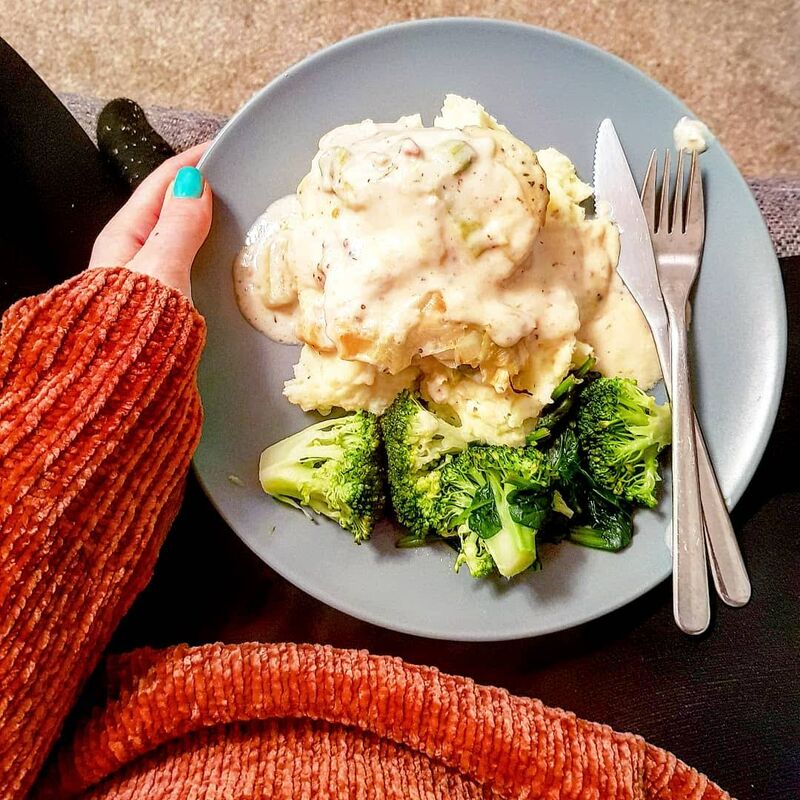 I think having a go-to ready meal you can pick up if you need to is a good thing, it’s better than a takeaway!